The Q32 Baja has energized RC hobbyists with its tiny size, easy control and innovative features, and now truggy fans can get in on the fun, too! 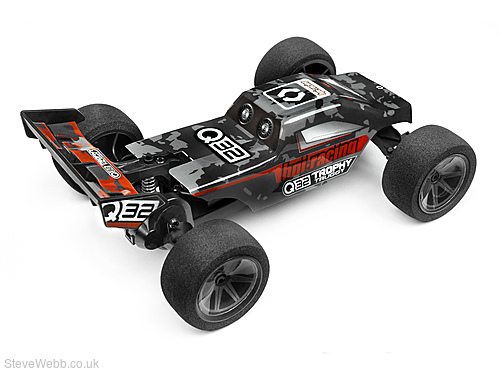 HPI designers have come up with a fantastic truggy version of the Q32, complete with an all-new body, functional rear wing and internal roll cage! 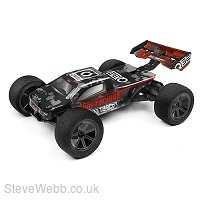 The body features an awesome ‘camo' racing scheme for a super cool, stealthy look, and when combined with the awesome new racing dish wheels and low-profile racing tyres it looks just like the awesome Trophy Truggy - only 4 times smaller! 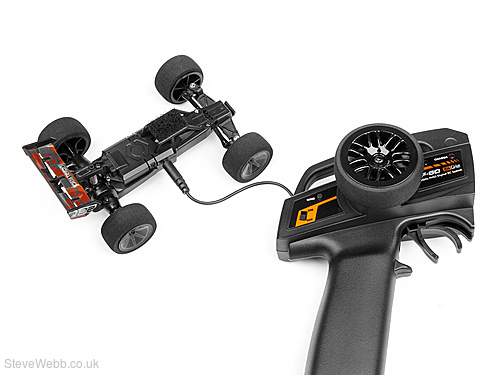 Like real hobby-level RC cars, the Q32 can be repaired with a supply of spare parts. Easily repair crash damage and change spare tyres, and even upgrade your car for more speed and fun!